The ultimate duo in achieving healthy hair for shorter lengths. The Short Hair Bundle comes with 10 mL Rose Hair Elixir and 2 oz Normal Scalp Treatment. If you’re ready to revamp your locks the all-natural way then this is a great place to start! The Rose Hair Elixir is the Holy Grail product of hair care. Formulated with over 15 organic oils, this Elixir is potent and serves a number of purposes. It can be used daily or whenever your hair needs a quick pick me up. It can be used on dry hair to nourish split ends, tame frizzy hair, repair damaged hair and add shine. This little bottle does it all! It even works as a heat protectant before styling or on damp hair as a leave-in treatment. If that’s not enough for you, it’s intoxicating rose smell will have you coming back for more. DIRECTIONS: Using the dropper, obtain few drops of the elixir on the palm of your hands. Gently rub between both hands and apply to dry hair, concentrating on the mid-section to the ends of your hair. Use the The Rose Hair Elixir to deep condition ends by using a larger amount and let sit for a few hours or overnight. Wash out as you usually would. Use the Elixir as a heat protectant before blow drying or use it after styling to add shine and control frizz. For best results, apply daily. Store in cool, dry place (away from sunlight). Hair growth starts at the root. The Scalp Treatment is the ultimate product for hair growth because it nourishes and stimulates the scalp. It’s packed with natural goodness that will benefit your scalp and hair in ways you never thought possible! 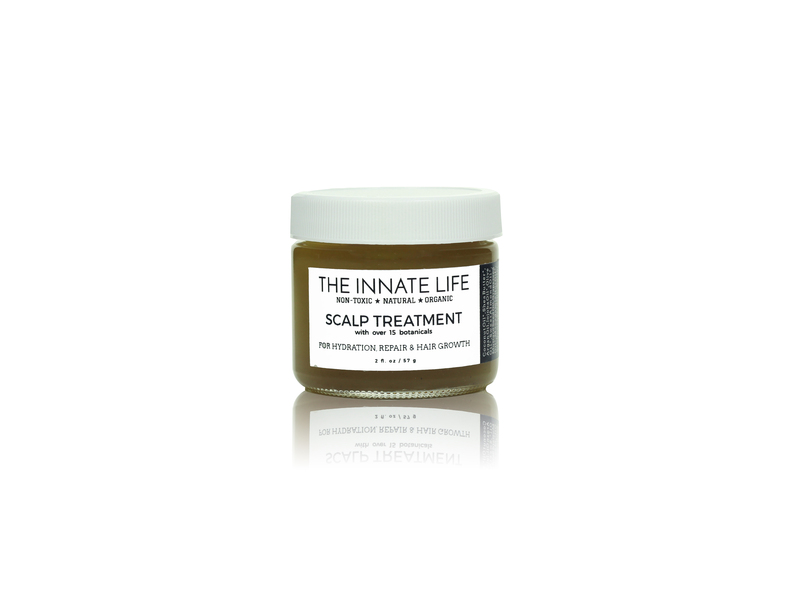 Used a couple times a week, The Scalp Treatment will provide intense hydration and repair the scalp for ultimate growth. It’s relaxing herbal scent makes it an essential part of any self-care day. DIRECTIONS: Apply to dry hair. Section your hair in the middle and apply a pea sized amount directly onto the scalp. Rub gently to let the product sink in. Keep sectioning the hair until treatment is on all parts of the scalp. Massage the scalp for 3-5 minutes. Leave on for few hours or overnight. For best results, use once or twice a week. May need to shampoo twice. For best results, apply 1-2 times a week. Store in cool, dry place (away from sunlight). Always perform a patch test before applying our products. Natural & herbal products can still cause adverse reactions if you are allergic to a specific ingredient. Do not use if you have any nut allergies. Discontinue use right away if there is an adverse reaction. 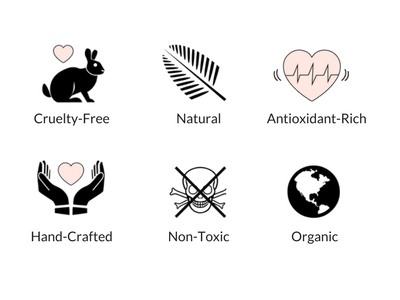 The Innate Life has the highest quality products with all-natural ingredients. They're extremely potent and best of all, they ACTUALLY work. You can sit back and rest assured that we have done our homework and used only the cleanest ingredients. We are a brand that you can trust.